Did you know salt is an acquired taste? It is. Be that as it may, dietary guidelines state that we should never exceed a teaspoonful of salt per day per person. 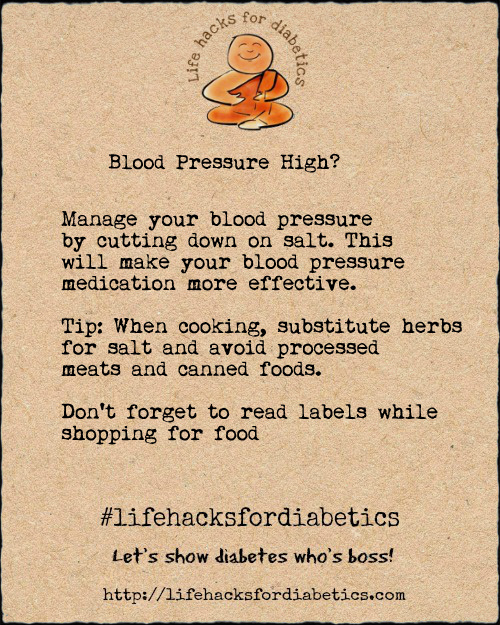 For diabetics, cutting down on salt can be very beneficial as it gives you the added bonus of helping you manage blood pressure. So cut down on salt. This will help your medication work better. While cooking, use herbs instead of salt. And knock off those processed meats and canned foods from your grocery shopping list. Make sure you read those labels when you shop.